Busy as a Honey Bee: Here and Over There too! Today, I am in two places at once! 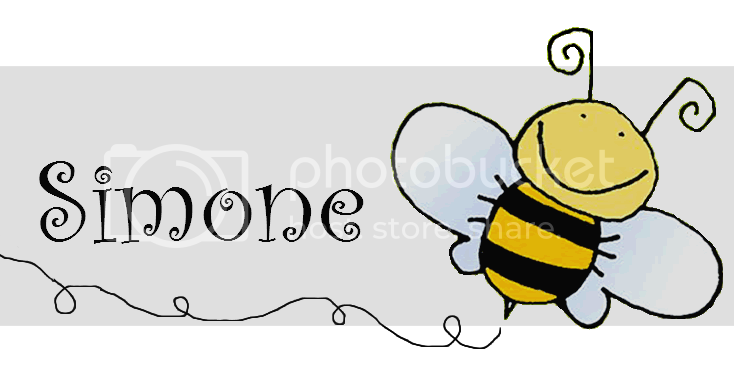 Head on over to Buzzing with Ms. B! Maybe you are gettin ready to pack up... maybe not! Either way check out what I use to help me pack up and head out! 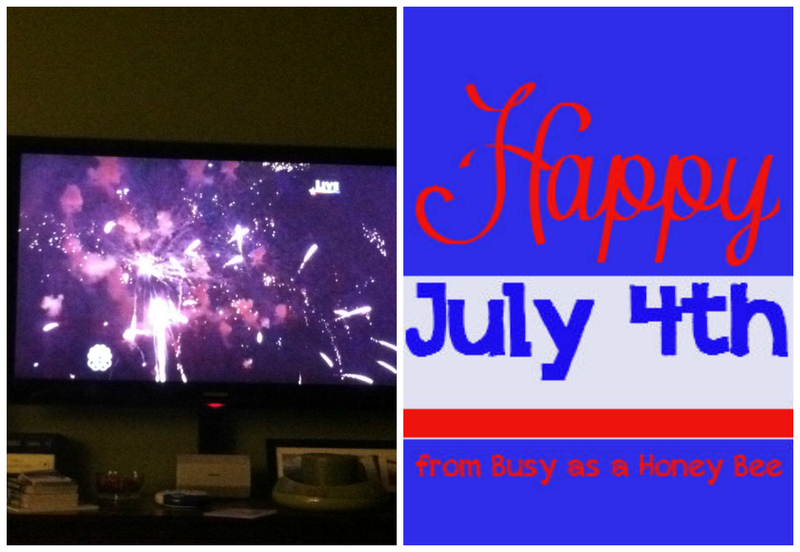 Also, while I'm here, here's how the Fourth of July went for hubs and I! *Warning: It was a super low-key day! Love it! 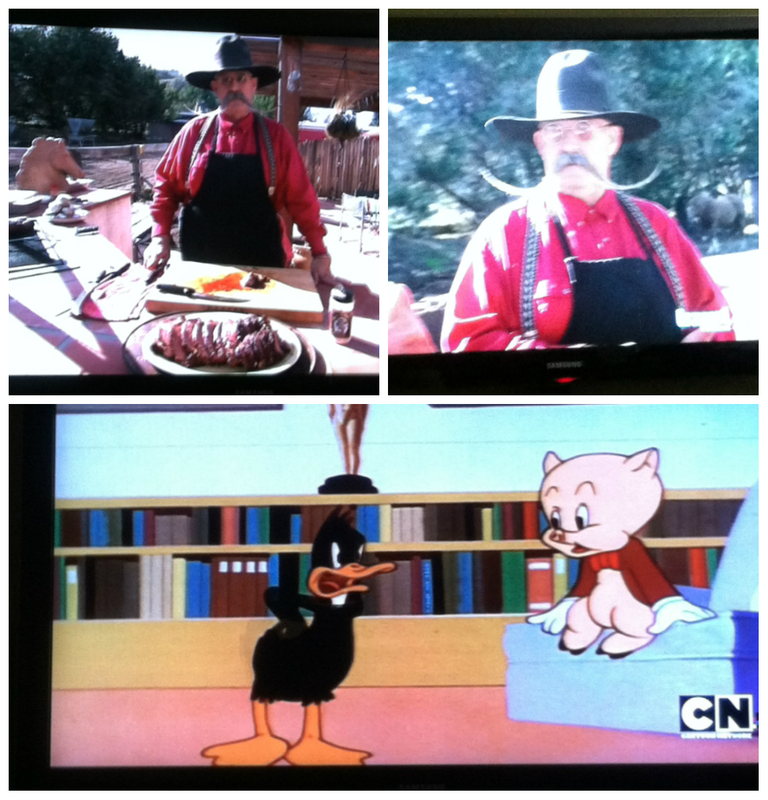 A little Looney Tunes to begin the day! Then it was on to the BBQ programming.... check out that guys stache!!!! I laughed.out.loud!!!! 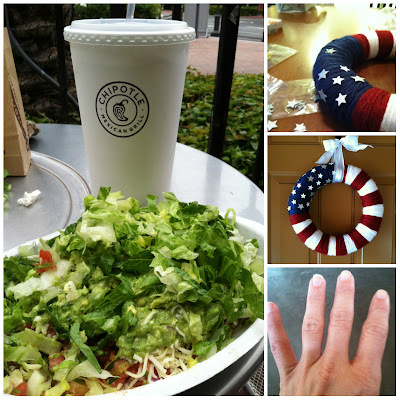 After a bit of shopping.... we headed to get our America on! Tried out The Counter and LOVED it!!!! 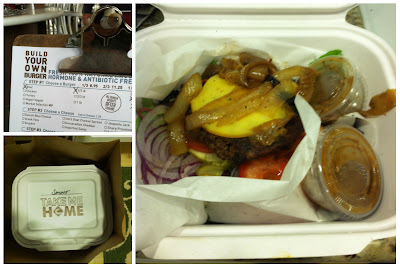 Here's my order form, to-go order, and my burger salad! Love that you can order with no bun and they give you salad greens instead! Totally diet friendly! After Act of Valor, it was time to watch the fireworks! All in all a pretty great day! Love to relax instead of stress on a holiday! Don't forget to check out my guest post over at Buzzin with Ms. B!! !